Shame on the Lake Wildwood Association and anyone else who has jumped on the “kill the geese” bandwagon! I think it is absolutely disgusting to use those geese as a scapegoat for Lake Wildwood’s E. coli problems. It seems like an awfully easy out to blame the geese instead of figuring out why hundreds of gallons of sewage has been dumped into the lake (on more than one occasion). Perhaps the Lake Wildwood Association finds it easier to blame the geese and their poop for the low numbers of lake goers … for me, personally, it is the sewer-born E. coli that is brewing in the lake. 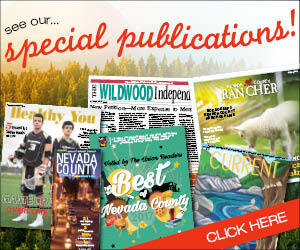 Judging from the article in The Union on June 20, the victims that were contaminated with E. coli from Lake Wildwood are suing Nevada County, Nevada County Sanitation District No. 1, NID, and the Lake Wildwood Association. As it should be, no geese were named in the lawsuit, as of yet.